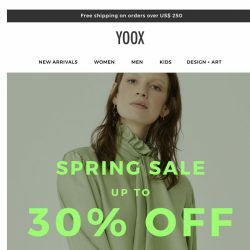 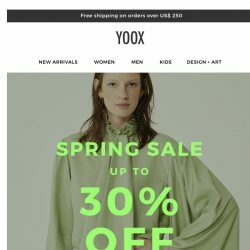 [Yoox] The spring sale starts today! 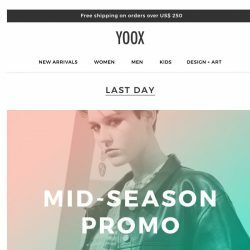 [Yoox] The mid-season continues… But the PROMO ends today! 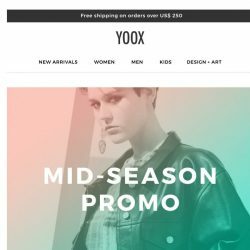 [Yoox] Mid-season style: 25% and 30% OFF for you! 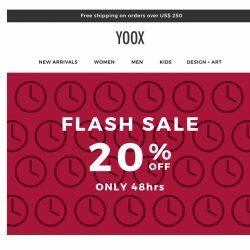 [Yoox] Friends & Family: Don’t miss out! 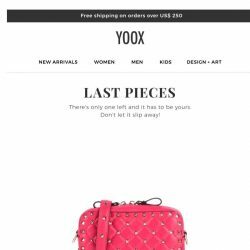 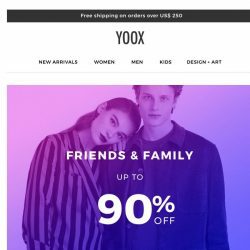 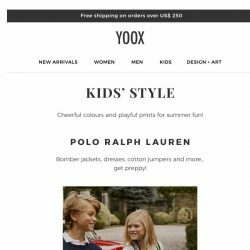 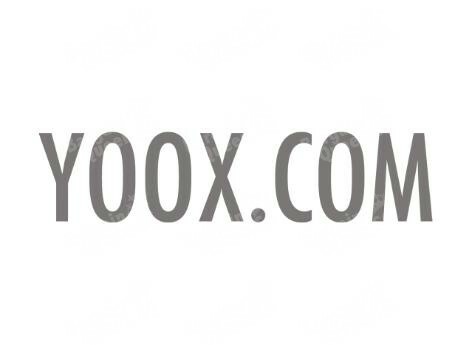 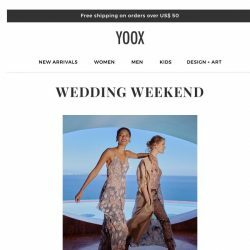 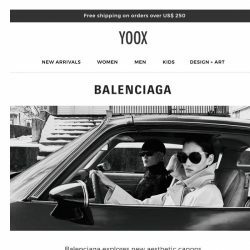 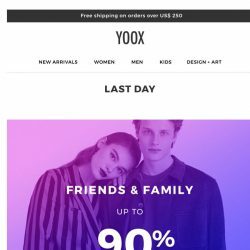 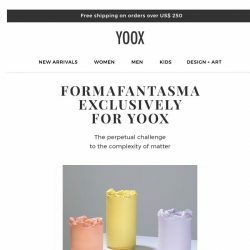 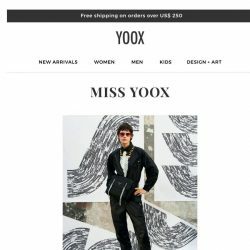 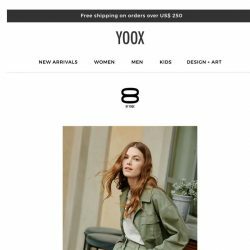 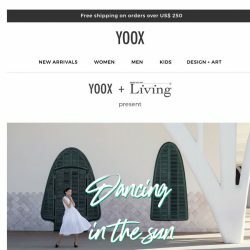 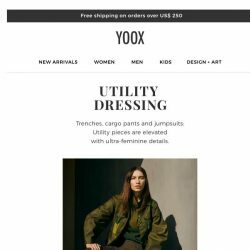 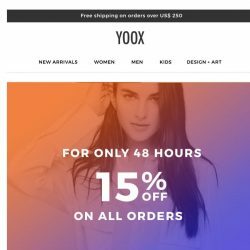 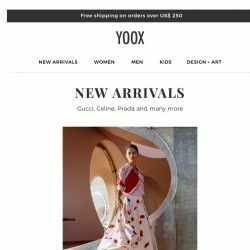 [Yoox] Up to 90% OFF, only for a few days! 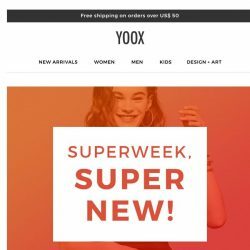 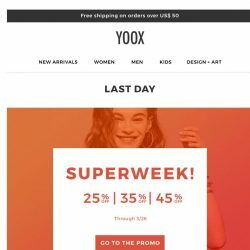 [Yoox] Is the SUPERWEEK already over? 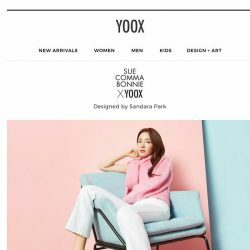 [Yoox] You weren’t expecting this, were you?